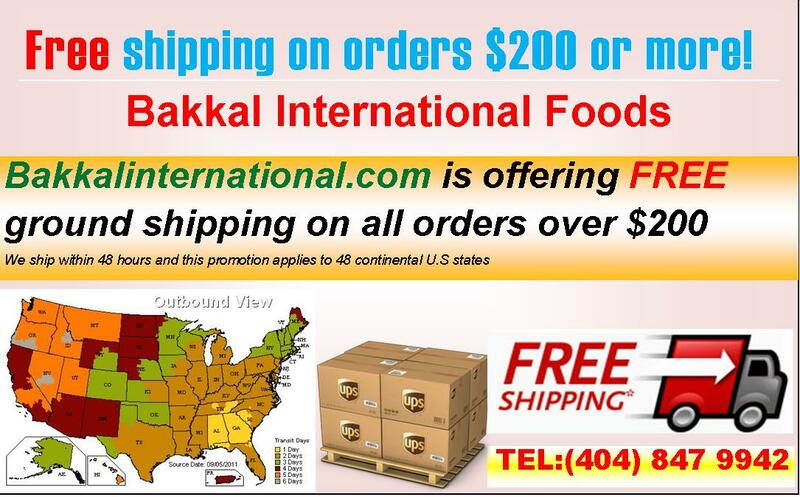 Bakkalinternational.com offers UPS nationwide to 48 continental states. We package and process your online orders the day it is placed exluding weekends and holidays. If an order is placed on a weekend or holiday, we process the orders next available business day. Perishables must be shipped using UPS express shipping method, order containing perishables should select UPS 2nd day or faster service. At Bakkalinternational.com, we make a lot of effort to make sure our products are packaged and delivered safely. There are no returns allowed on grocery products. If a grocery product you have received is defective or has been damaged during shipping, we must be contacted within 24 hours of delivery to process a ticket.